POTOMAC, Maryland -- It was a battle between two of the country's top 110 meter hurdlers on Saturday. 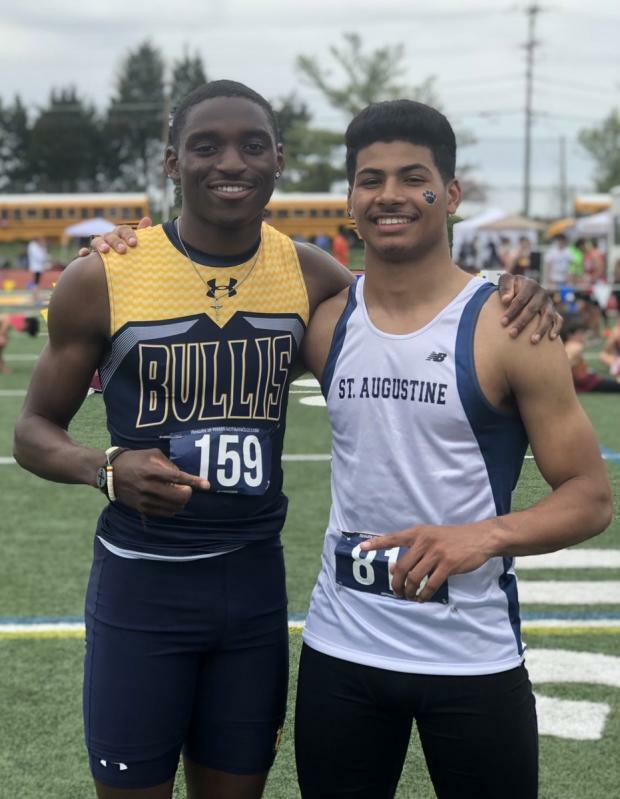 New Balance Nationals Indoor 60 meter hurdles champion Sincere Rhea of St. Augustine (NJ) High School made the trip down I-95 to compete against Maryland's own, Bullis School (MD) senior Andre Turay, at the Bullis Bulldog Invitational. And it didn't disappoint, with Turay needing a lean at the finish to beat Rhea in a US No. 2 wind-legal time of 13.80 seconds, edging Rhea by just a hundredth of a second. While Turay came out faster in the prelims as the top qualifier with a 14.06 performance over Rhea's 14.18, the finals matchup could not have been any more equal, from start to finish. Turay and Rhea went lead leg to trail leg in almost identical fashion. And in a cool sign of sportsmanship, both Turay and Rhea immediately turned to one another for a high five after the finish line. Looking forward to seeing these two push each other again in the future, possibly at New Balance Nationals Outdoor to even more insanely fast times well into the 13 minute range.